The selling process generally begins with a determination of a reasonable asking price. Your real estate agent or REALTOR® can give you up-to-date information on what is happening in the marketplace and the price, financing, terms and condition of competing properties. These are key factors in getting your property sold at the best price, quickly and with minimum hassle. The next step is a marketing plan. Often, your agent can recommend repairs or cosmetic work that will significantly enhance the salability of the property. Marketing includes the exposure of your property to other real estate agents and the public. In many markets across the country, more than 50 percent of real estate sales are cooperative sales; that is, a real estate agent other than yours brings in the buyer. Your agent acts as the marketing coordinator, disbursing information about your property to other real estate agents through a Multiple Listing Service or other cooperative marketing networks, open houses for agents, etc. The REALTOR® Code of Ethics requires REALTORS® to utilize these cooperative relationships when they benefit their clients. Advertising is part of marketing. The choice of media and frequency of advertising depends a lot on the property and specific market. For example, in some areas, newspaper advertising generates phone calls to the real estate office but statistically has minimum effectiveness in selling a specific property. Overexposure of a property in any media may give a buyer the impression the property is distressed or the seller is desperate. Your real estate agent will know when, where and how to advertise your property. There is a misconception that advertising sells real estate. The NATIONAL ASSOCIATION OF REALTORS® studies show that 82 percent of real estate sales are the result of agent contacts through previous clients, referrals, friends, family and personal contacts. When a property is marketed with an agent’s help, you do not have to allow strangers into your home. Agents will generally pre-screen and accompany qualified prospects through your property. The negotiation process deals with much the same issues for both buyers and sellers, as noted above under the buying process. Your agent can help you objectively evaluate every buyer’s proposal without compromising your marketing position. This initial agreement is only the beginning of a process of appraisals, inspections and financing — a lot of possible pitfalls. Your agent can help you write a legally binding, win-win agreement that will be more likely to make it through the process. Between the initial sales agreement and closing (or settlement), questions may arise. For example, unexpected repairs are required to obtain financing or a cloud in the title is discovered. The required paperwork alone is overwhelming for most sellers. Your agent is the best person to objectively help you resolve these issues and move the transaction to closing (or settlement). 4. Why use a REALTOR®? All real estate licensees are not the same. Only real estate licensees who are members of the National Association of REALTORS® are propertly called REALTORS®. 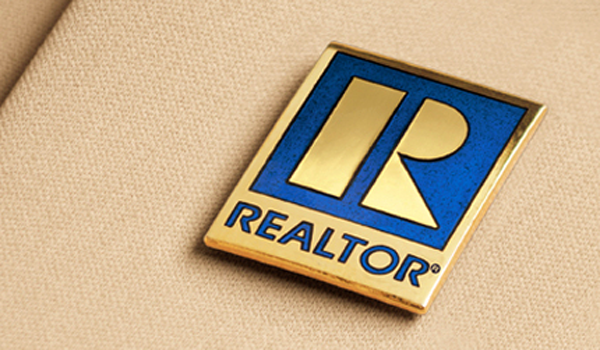 They proudly display the REALTOR® logo on the business card or other marketing and sales literature. REALTORS® are committed to treat all parties to a transaction honestly. REALTORS® subscribe to a strict code of ethics and are expected to maintain a higher level of knowledge of the process of buying and selling real estate. An independent survey reports that almost 85 percent of home buyers would use the same REALTOR® again. Schmeadick, Ron. “Why Use a REALTOR® When Selling.” Realtor.com. Copyright © by Move, Inc. Web. Click Here To Meet Our Agents!